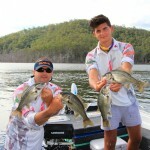 Building on the success of the BASS Electric Majors in 2014, Bluefin Boats and Haswing return in 2015 with two events at Hinze Dam (Mar 29th) and Moogerah Dam (Aug 2nd). BASS Electric Major Events differ from regular Electric Qualifiers in a number of ways. 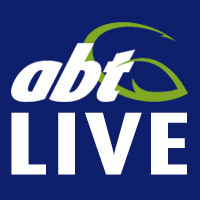 Firstly these events offer great prizes courtesy of ABT sponsors, with prizes all the way through to 10th place. 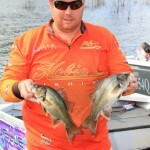 Secondly there is $100 prize for the event Big Bass. 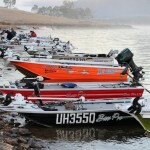 Finally this event receives extensive FMG magazine coverage, giving anglers and their sponsors the opportunity to shine. 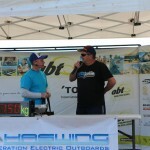 Visiting the popular tournament venue of Hinze Dam on Sunday March 29th, anglers will experience the super sized BASS Electric treatment courtesy of Bluefin Boats, Haswing, ABT and all the supporting ABT sponsors. A single-day bass fishing smackdown, anglers will hit the water at 7am before returning to the weigh-in at 1pm for a staged ABT run weigh-in. 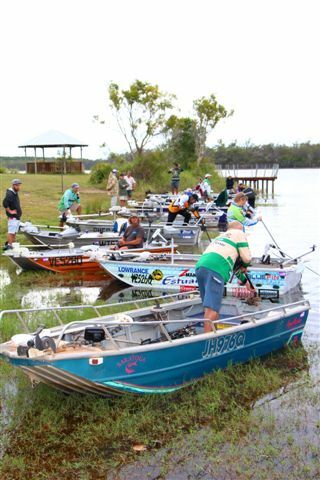 An increase in entry fee ($100) will see an increase in prizes and rewards with prizes for the top ten, including Spotters Sunglasses, Jackall, Austackle, Damiki, Pontoon 21, TT, Z-Man, Ecogear and Fish Arrow products making for a lucrative event. 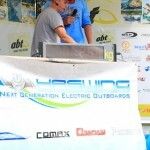 A Haswing Cayman B 55lbs 12V Bow Mount electric motor and vouchers are finalized for the event delivering a true prize bonanza, while anglers will receive complementary Engel products at the event sign on. 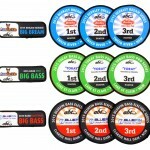 Add place getter badges for the top five and $100 for the Flow-rite Big Bass for the event and free entry into the 2015 BASS Electric Convention for the top three place getters and anglers will be rewarded in a manner befitting the BASS Electric Convention. 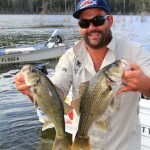 The rewards aren’t just on the day with the winner, runner-up and Flow-Rite Big Bass winner featuring in the colour write-up that will run in QFM and NSWFM. 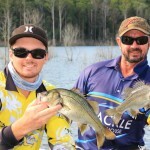 Ten Grand Final berths, and Austackle Ranking Points the same as a two-day tournament complete the rewards package. Don’t miss out; get to Hinze on the last Sunday in March to be part of the action. Entry- $100 cash on the morning of the event. Entry from 6am.